So yea... It has been about three months since we have been this warm. If we would have gotten one more degree warmer it would have been five months since we have been this warm. And then winter returns tomorrow. We will see rain move in between 3-5AM tonight and then transition over to snow during the late morning. The snow will be done before the evening commute tomorrow and above is what I am thinking for the snowfall totals. 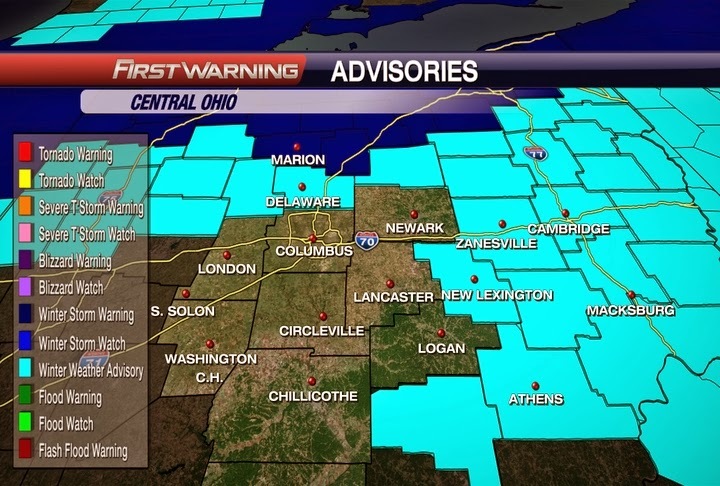 Northern Ohio will see the most snow. Then we are COLD for Thursday and stay below freezing all day. We bounce back to low 50's for highs on Friday with some evening rain. Then slowly cool off a little the rest of the weekend. I just want today to last forever.... Have a good one!